I love finding interesting new products in the market place. 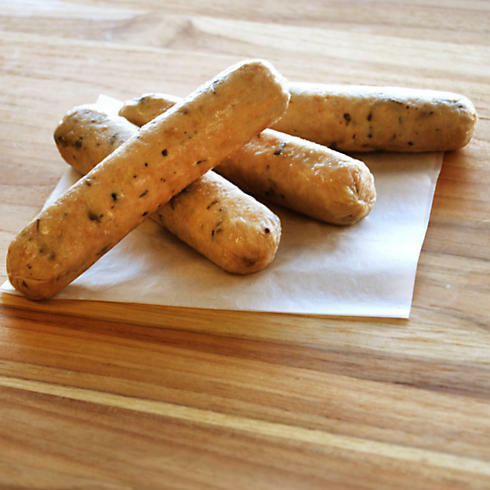 I have discovered D’Artagnan Chicken Truffle Sausage and I am in Heaven. It is so easy to enjoy these luxurious sausages which combine a base of wonderfully moist chicken with the full-bodied taste and aroma of black truffles. All you have to do is heat and serve. In this quick and easy kabob recipe, each juicy shrimp hugs a chunk of Chicken and Black Truffle Sausage The kabobs were also brushed with a herbal, spicy seasoned oil for an extra punch of flavor. 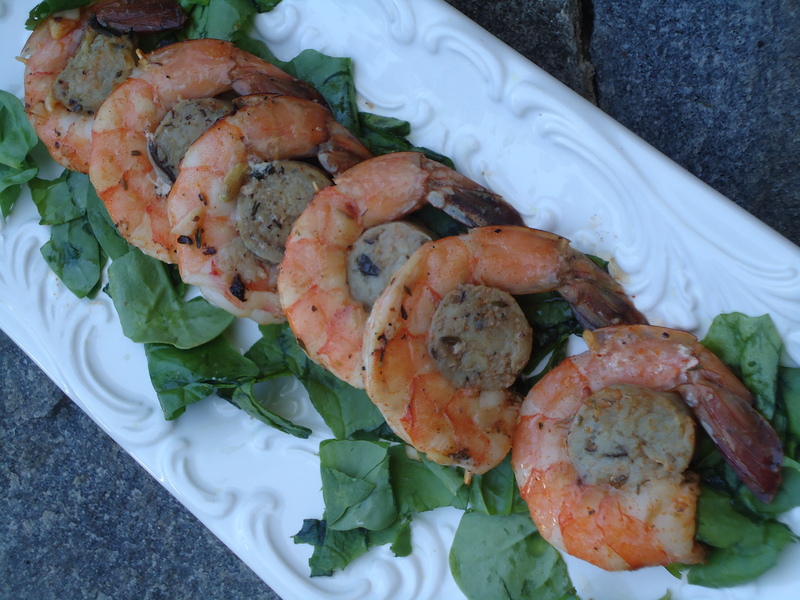 While grill is heating, wrap shrimp around the sausage slices and thread onto bamboo skewers. In a small bowl, stir together oil, thyme, marjoram, garlic,black pepper, crushed red pepper flakes, paprika and cayenne. Brush seasoning mixture onto skewers.